Today three cities who are intimately interested in the future of the 2,750 acre Tres Hermanos Ranch in Upper Tonner Canyon reached agreement on its future governance. The Cities of Chino Hills and Diamond Bar thwarted Industry’s efforts to build a solar farm on the ranch land Industry was buying when both cities filed three lawsuits each in the fall of 2017. Both cities would have lost land use authority over the 2,750 acres because the solar farm project would have come under the jurisdiction of the California Public Utilities Commission. 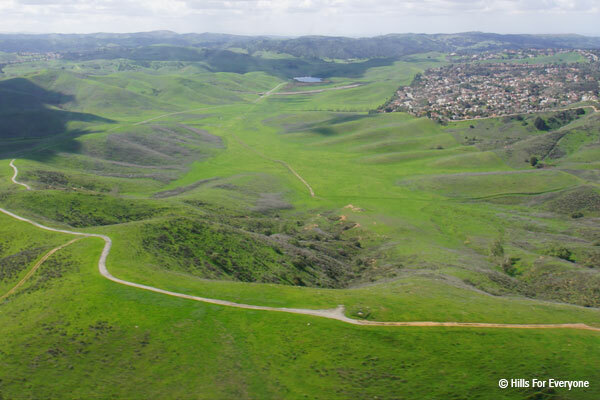 Under a settlement agreement announced today, the lawsuits will be dismissed, Industry will proceed with the purchase of the land as open space, public use, and recreation. Industry will then transfer title to the revamped Tres Hermanos Conservation Authority. Both the cities of Chino Hills and Diamond Bar will contribute funds to the acquisition. Industry will have three voting members on the Joint Powers Authority (JPA), and the other cities will each have two voting members. Both cities are confident there are safeguards to maintaining local control.